Original Color Block Top Clip Rubberized Leather Backpack is rated 4.7 out of 5 by 3. 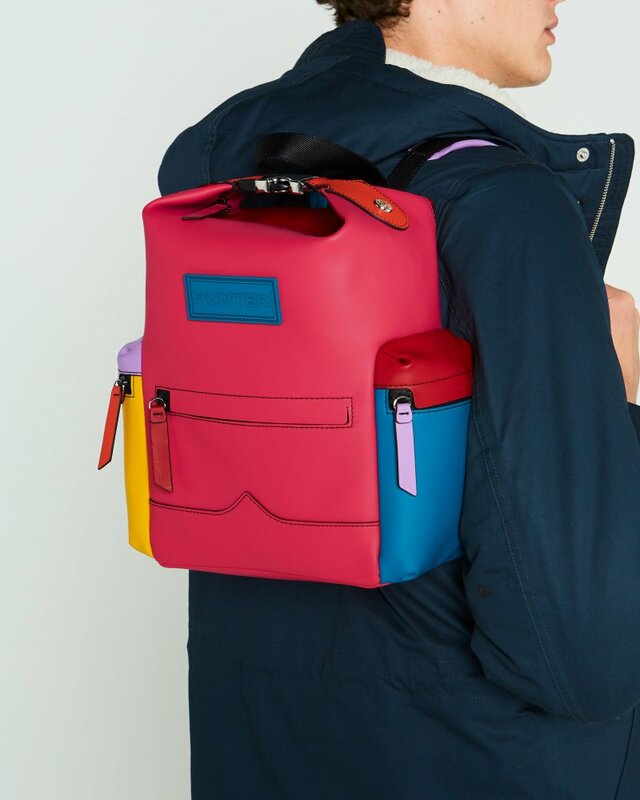 In a new color block design for this season, the Original rubberized Leather Top Clip Backpack is a cool yet practical choice for every day. Crafted from a water-resistant leather, the bag is big enough to store a 13” Macbook Pro inside a separate internal device pocket. Contents are secured by a zip and top clip. Rated 5 out of 5 by Kamariokart from Plenty of room...Beautiful Bag Amazing bag I bought this size as well as the one that’s a little smaller I’m still waiting for that want to come in so I can compare the sizes. I don’t know what other people are talking about but my 13 inch MacBook Pro fits fine in the pocket on the back, as well as in the main compartment. Gorgeous as pictured and so much room! I have a huge binder with my lab book inside, a note book, full folder, and Mac book with plenty more space. I will write a review for the other size and compare the two when it comes in. Rated 5 out of 5 by Tete from Love the colors I get lots of compliments!!! Perfect for everyday use. Rated 4 out of 5 by May94 from Wanted to love This backpack is a great shape and the color block design is unique. I don't know why they say it will fit a 13" MacBook pro. My 13" MacBook air was nowhere close to fitting. I had to return it as I had planned on making it my work bag. The quality is great just didn't fit my needs.